Should You Take Care of the Parents Who Abused You? Growing up in an abusive home can leave scars many spend a lifetime trying to overcome. Debra knows. Though she is forty-two years old and raising her own family, she has never fully been able to escape the pain of her childhood. She still has panic attacks at night; still fights a racing heart every time her mother calls. Debra’s parents drank heavily. Day to day, she found herself walking on eggshells, unable to predict what kind of behavior their drinking might bring. Both of her parents were verbally abusive when they drank, but her dad was especially brutal. His angry explosions were originally focused on mom, but over time, she became the target of his rage. Years later, long after her childhood trauma had ended, Debra began to wonder, As a Christian, what do I owe my abusive parents? Am I supposed to take care of the parents who abused me? The truth is, many in the church have asked themselves these same questions. Neglect and abuse are more widespread than most are aware of or acknowledge. According to the Centers for Disease Control and Prevention, approximately 3.3 million cases of abuse or neglect were reported to child protective service agencies in 2010. This does not account for the actual number of horrific and painful childhoods, as many are never reported or documented. The CDC estimates that 20 percent of children will be the victims of such maltreatment. These victims should have never experienced abuse. They never should have been at the firing end of a word or a hand — they shouldn’t — but yet it happens all too frequently. They were children who should have been protected, nurtured, and loved, as God commanded. Colossians 3:21(NIV) commands, Fathers, do not embitter your children, or they will become discouraged. Scripture also tells us that there are serious consequences for those who destroy God’s temple (his people). I Corinthians 3:16-17 (NIV) warns, Don’t you know that you yourselves are God’s temple and that God’s Spirit dwells in your midst? If anyone destroys God’s temple, God will destroy that person; for God’s temple is sacred, and you together are that temple. Though each situation is unique, the one thing I do know is that God is always moving in the direction of healing, and He desires His children to move in the direction of healing as well. One of God’s names in the Bible is ‘Jehovah Rapha,’ the Lord Who Heals. Psalm 147:3 (NIV) says, He heals the brokenhearted and binds up their wounds. Psalm 103:2-3 (NIV) adds, Praise the Lord, my soul, and forget not all his benefits, who pardons all your sins, and heals all your diseases. Do Christians Owe Their Abusers Anything? How do we honor the parent who did nothing to honor us, or care for us? Exodus 20:12 (NIV) tells us to, Honor your father and your mother, so that you may live long in the land the Lord your God is giving you. Perhaps the first and best step towards fulfilling this command is to embrace our own healing and to reconcile our wounds with the Reconciler of all wounds. Our parents may not have been able to nurture, protect, or heal us in our childhood, but that doesn’t mean we have to remain chained to our past, or to the scars that have etched themselves into our hearts and minds. We owe ourselves the gift of healing and compassion. Learning to see our parents through God’s eyes, as God’s broken children destructively living out their own painful and destructive childhood, allows us to see a tiny bit like God sees us, and prepares the landscape of our hearts to forgive, as we ourselves have been forgiven. Forgiveness does not absolve abusive parents of their sin in God's eyes. Nor does it mean that we are required to remain in or return to an abusive situation. It merely reclaims our story and our heart so that the legacy of abuse can end, and the legacy of healing can begin. Forgiveness chooses grace instead of hatred and compassion instead of condemnation. Forgiveness proclaims the light, even in the darkest of places. Yes, the Bible says we should honor our fathers and mothers because it is the right thing to do and it results in our blessing. However, Scripture does not describe the exact requirements for such care. Honoring an abusive parent does not mean having to engage them or continue to be abused. We should never put ourselves in harm’s way physically, emotionally, or spiritually. Never. We shouldn’t care for our abusive parents if we are unable to care for them. Moving in the direction of healing means that we are moving toward wholeness and stability in every area of our lives. If our care or support threatens our own physical, financial, emotional, or relational stability, we must first keep ourselves and our families safe. We cannot throw out life preservers to others if we ourselves are drowning. Secondly, we shouldn’t care for abusive parents if they refuse to allow us. Sometimes our parents don’t need or want our help. Sometimes even when they do, they continue to cling to their own destructive patterns, entrapped in blame, addiction, and victimization — which serves their own destructive ends. If they refuse the care we can offer them, we can look to see if there are other ways to meet their most basic needs. Sometimes this is possible. Sometimes it is not. In the recent movie, I Can Only Imagine, the main character, Bart, grew up with an abusive father. One of the most beautiful scenes occurs when Bart comes home as an adult to find that his father has had a transformative encounter with Christ. His heart had changed. His attitudes had changed. His life had changed. This is the easiest situation in which to care for an abusive parent. When there has been repentance, heart change, and life change, we should most certainly care for our parents. We should care for them when they are doing what they can to help themselves. Many parents who were alcoholics in their younger years have embraced lives of sobriety and recovery, moving in the direction of their own healing. We should care for them when caring doesn’t threaten our own mental, emotional, or physical health or healing journey, or the health of our children. Questions to Ask Before You Decide Which Option Is Right for You? 1. Would caring for abusive parents endanger me physically, emotionally, or spiritually? 2. Would caring for them help me continue to move in the direction of my own healing, which is God’s desire for me? 3. Would my help actually help them, or would it enable or allow a pattern of destructive behavior to continue? 4. Are there ways I could care for them that wouldn't put me in harm’s way or enable destructive choices? 5. How can I obey the Scriptural principle of honoring my parents, while continuing my healing and maintaining my safety? Are Christians Held to a Higher Standard of Care? The short answer is yes. We as believers are called to be the light, to love Christ relentlessly, and to pursue His healing in every area of our hearts and lives. We are called not only to be holy and ‘set apart,’ but to live in Christ’s healing and offer it to others, in whatever way we can. If you have been the victim of abuse, I want you to know, God sees you, He sees your hurt, the pain of the past — He sees. He has heard your cry. He will defend you, heal you, and protect you. Psalm 10:17-18 (NIV) tells us, You, Lord, hear the desire of the afflicted; you encourage them, and you listen to their cry, defending the fatherless and the oppressed, so that mere earthly mortals will never again strike terror. God’s desire for each of us is that we don’t stay trapped in the pain of our past. His commands are always to move us in His direction, the direction of our continued healing. 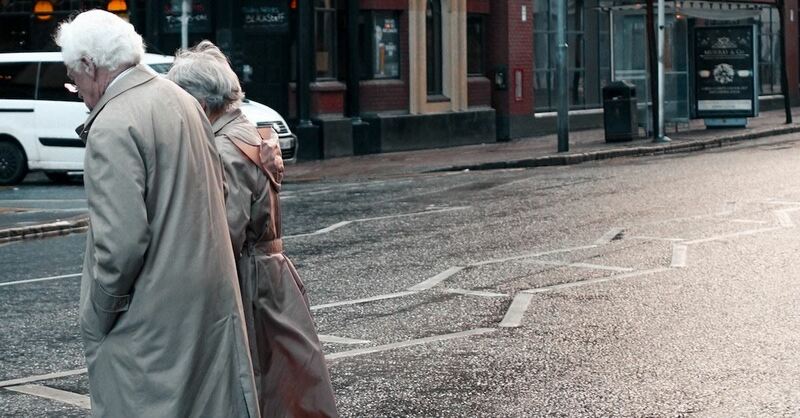 As long as we are pursuing healing with God, God will guide our steps faithfully to determine how we can best honor our parents as they age and potentially need help. Lisa Murray is a Licensed Marriage and Family Therapist, author, speaker, coffee lover, and wife. Her online community lisamurrayonline.com provides a compassionate place embrace peace in the midst of the stresses and struggles of life. In her new book, Peace for a Lifetime, Lisa Murray shares the keys to cultivating a life that’s deeply rooted, overflowing, and abundant, the fruit of which is peace. While she grew up in the Florida sunshine, she and her husband now live just outside Nashville in Franklin, TN. 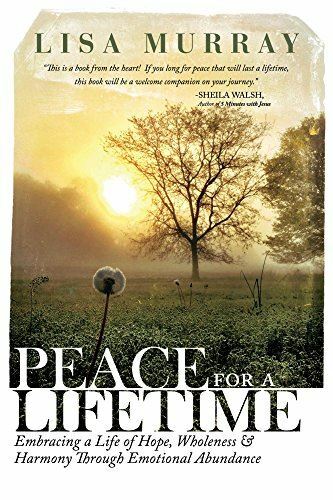 Peace for a Lifetime is available on Amazon.com. Visit her on Facebook and Twitter.